I hear my cruise ship is "going into dry dock." What does that mean? When a cruise ship goes into dry dock, it means it's being taken out of passenger service for a period of time to receive routine maintenance, new soft goods (linens, upholstery, etc.) or possibly a larger refurbishment involving the reimagining of specific public areas or the addition of new cabins or restaurants. The term comes from the type of maintenance facility; essentially the cruise ship sails into the shipyard, and then the water is drained from its dock area so workers can inspect and repair the underside of the ship in a dry location (rather than trying to fix it underwater). 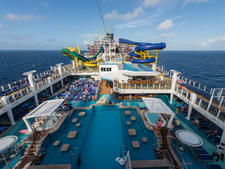 If I'm sailing right before a dry dock, will my vacation be affected? It could be. If the ship is simply going for a routine maintenance, you probably won't have any issues. If the ship is going into dry dock to fix a problem (such as a propulsion issue), then your cruise might be affected by the ongoing issue; for example, if the ship can't sail at top speed, your itinerary might be altered to accommodate that. If your ship is going to receive a major cosmetic overhaul, you probably will notice that existing furnishings or carpeting look worn. 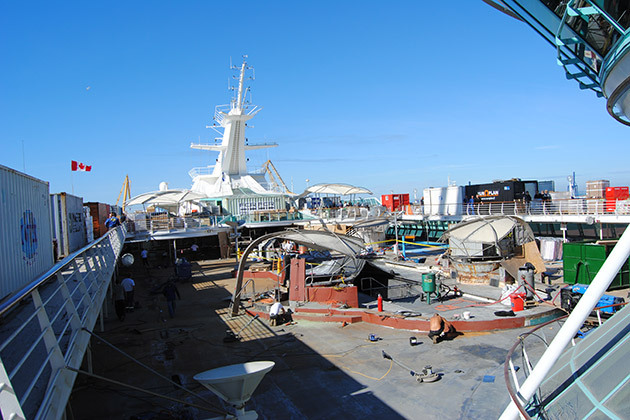 Often, a cruise line will bring workers onto the last revenue sailing before a large refurbishment, and passengers might see certain areas closed off to accommodate the prework. It's not uncommon for deck chairs to be gathered and stacked, for example, or parts of a buffet closed down. The closer you get to the end of your sailing, the more likely you are to notice work being done. In extreme cases, construction might be more noticeable, with large parts of decks closed off and noise from power tools, for instance. Before a dry dock, the ship should remain fully staffed, many activities will run and food should be plentiful -- as it would be on any cruise. That said, travelers looking for a seamless cruise vacation should think twice before booking a cruise immediately before a dry dock. I booked my cruise more than a year out and now I hear the ship is going into dry dock. How will that affect my sailing? 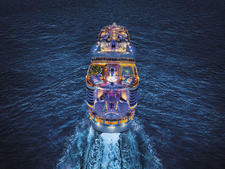 Cruise lines typically plan dry docks far in advance and schedule itineraries around those breaks. However, if a ship needs emergency repairs or a scheduled maintenance turns into a larger refurbishment, the cruise line might have to cancel some cruises to accommodate the ship's needs and the shipyard's schedule. If you have not made the final payment on your cruise, the line will either refund your deposit or offer to switch you to another sailing; depending on the circumstances and timing, the line might offer fare protection or compensation for airline change fees. If your cruise will take place before the dry dock, the impact might be minimal, or it might be extensive. 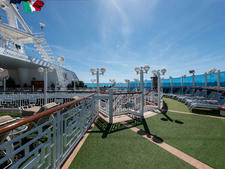 If your cruise takes place after the dry dock, keep reading below for an idea of what to expect. If you do not wish to sail on a cruise right before or after a major dry dock and have not yet paid in full, you can always cancel and rebook. I'm taking the first cruise post-dry dock. Will the repair work be finished? It should be -- but isn't always. 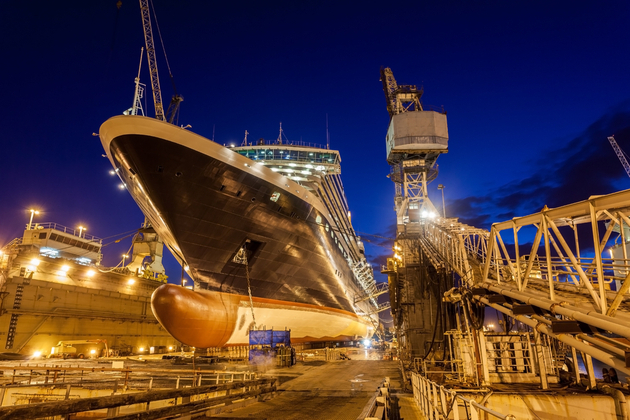 Cruise lines and shipyards work together to come up with a dry-dock schedule that should leave enough time for all repairs and upgrades to be made before the ship goes back into service. However, unexpected snags can cause delays, which could lead to work continuing after passengers are scheduled to embark. This can affect you in several ways. Contractors might still be onboard while you cruise, meaning construction will be taking place in some passenger areas of the ships. You might hear construction noise or see materials and tools piled up. Certain attractions, restaurants or other public spaces might be closed for a time. You might encounter heating or plumbing problems or cabins that aren't quite finished. In rare instances, your cruise might be shortened or canceled so work can be finished. If this happens, your cruise line should give you a full refund, plus additional compensation (such as reimbursement for airline change fees, assistance in finding hotels if you are already in your embarkation city, possibly a discount on a future cruise). 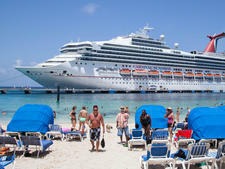 Alternately, the cruise could go on, but several passengers need to be bumped so contractors can stay onboard in those cabins. Should you get bumped, you should expect similar compensation to a cruise that's canceled outright. Should I expect service issues on a post-dry dock cruise? If your cruise ship goes for routine maintenance, you should not expect service issues post-dry dock. However, if the ship receives a major overhaul with changes to passenger-facing areas or systems, there might be some service problems while crew members learn the new routine. 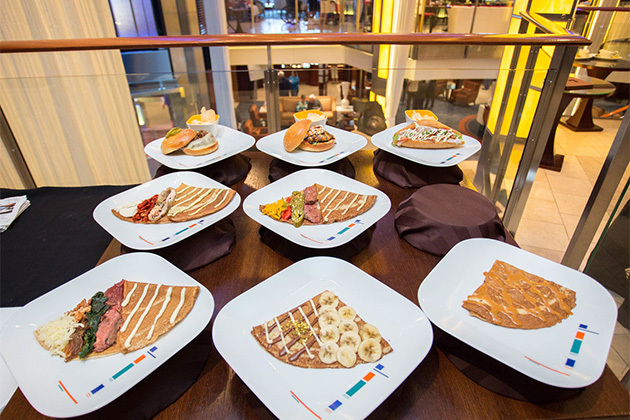 For example, if new technology is introduced for taking restaurant orders, there could be slowdowns or wrong dishes delivered until the crew members become more comfortable with the change. Is it true that cruise ships are more subject to mechanical problems after a dry dock? There have certainly been cases of cruise ships experiencing technical and mechanical problems after dry dock (such as a propulsion problem with Celebrity Constellation after a 2017 dry dock). However, it's not always clear whether these problems are an aftereffect of the dry dock or coincidental. How long should I wait to sail after a dry dock to make sure I encounter no dry-dock-related problems? Many people have an amazing vacation on the first cruise post-dry dock; others encounter unexpected cancellations and ongoing repair work. If you don't want to take any chances, we recommend not booking a cruise for at least a month post-dry dock, which should accommodate you in the unlikely event that both the dry dock runs long and is still unfinished when the first passengers embark. Where can I find out about upcoming cruise ship dry docks? Cruise Critic keeps a list of all the upcoming cruise ship refurbishments confirmed by the cruise lines. Our readers discuss future dry docks and ship makeovers on our message boards. In addition, you can look for gaps in a cruise ship's sailing schedule and reach out to the line; sometimes, this indicates a dry dock, but it could also be a full charter of the vessel.